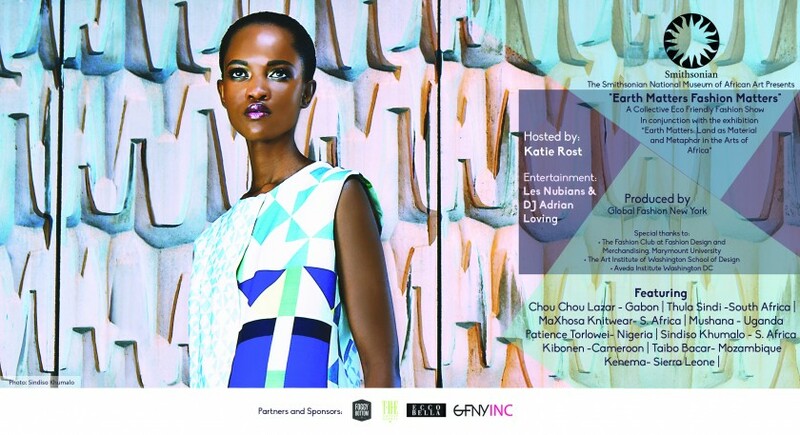 The Smithsonian’s National Museum of African Art will host some of Africa’s hottest designers at “Earth Matters, Fashion Matters,” a fashion show featuring ready-to-wear designs and a concert at the museum Saturday, Feb. 22, from 6 p.m. to 9:30 p.m. Katie Rost, a Vogue 100 model, will emcee the sold-out event. Ten of Africa’s most innovative fashion designers will respond and interpret with eco-friendly fashions inspired by the “Earth Matters” exhibition: Thula Sindi from South Africa, Taibo Bacar from Mozambique, Kibonen from Cameroon, Chouchou Lazare from Gabon, MaXhosa by Laduma from South Africa, Patience Torlowei from Nigeria, Mushana from Uganda, Kenema from Sierra Leone, Zaaf’s Abai Schulze from Ethiopia and Sindiso Khumalo from South Africa. The exhibition is on view at the museum through Sunday, Feb 23. Support for “Earth Matter Fashion Matters” comes from Ecco Bella (makeup and gift bags), T∙H∙E Artist Agency (models) and Wholefoods. Thanks go to the students of the Fashion Club at Fashion Design and Merchandising at Marymount University, The Art Institute of Washington School of Design and Aveda Institute in Washington, D.C.
“Earth Matters” is the first major exhibition exploring the ways in which African artists and communities mediate their relationship with the land upon which they live, work and frame their days. The exhibition investigates the intersection between art and knowledge and brings together approximately 100 exceptional works of art from the turn of the 19th to 21st centuries. It is divided into five thematic sections: The Material Earth, Power of the Earth, Imagining the Underground, Strategies of the Surface and Art as Environmental Action. A sixth section, Earth Works, is the first installation of land art by three artists to be assembled outside in the Smithsonian Gardens and on the National Mall. These categories provide vantage points from which to examine the most poignant relationships that Africans have with the land, whether it be to earth as a sacred or medicinal material, as something uncovered by mining or claimed by burial, as a surface to be interpreted and turned to for inspiration, or as an environment to be protected. A separate sculpture by Ledelle Moe (part of section two of the exhibition) will also be on display outside of the museum. 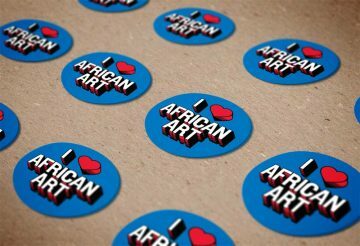 The National Museum of African Art is America’s only museum dedicated to the collection, conservation, study and exhibition of traditional and contemporary African art. The museum is open daily from 10 a.m. to 5:30 p.m. (closed Dec. 25). Admission is free. The museum is located at 950 Independence Avenue S.W., near the Smithsonian Metrorail station on the Blue and Orange lines. For more information about this exhibition, call (202) 633-4600 or visit the museum’s website at Africa.si.edu. 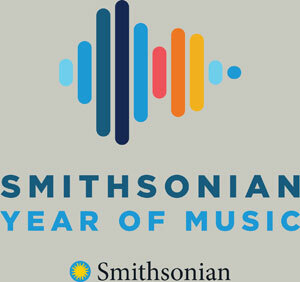 For general Smithsonian information, call (202) 633-1000. Note: To arrange an interview with the designers or for selected high-resolution images, contact Eddie Burke at (202) 633-4660; burkee@si.edu.